Allan Meyerson has been playing and teaching saxophone, flute and clarinet for 40 years. He is an accomplished classical as well as jazz and blues musician. His first professional jobs in the late 60’s were playing in the show bands of the many hotels in New York with as many as 5 different acts a night. Sight reading and being able to switch styles were a must and taught him valuable lessons in musicianship. Growing up in NYC gave him an opportunity to study with the best musicians in the world. Allan started in his high school band and soon realized the instruction there was adequate but not enough to satisfy him. He was lucky enough to find a local music teacher, Nat Shapiro, who was a studio musician for the NBC Radio Orchestra in the 40’s and 50’s and a student of Ernest F. Wagner. Nat encouraged Allan to study clarinet and later, flute. In 1969 Allan attended Queens College CUNY as music major while playing professionally. While in college he travelled to Manhattan weekly to study with the jazz great Lee Konitz (Miles Davis, Gerry Mulligan, Stan Kenton, Lennie Tristano) who taught him a practical approach to improvising which he now passes on to his advanced students. After college Allan continued his jazz oriented education by studying with another living legend of jazz NEA Jazz Master, David Liebman (Elvin Jones, Miles Davis, Chick Corea) for over 2 years on a one to one basis. 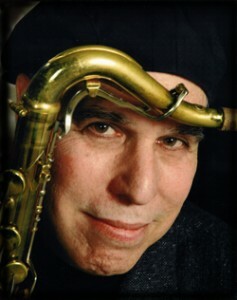 Recently Allan has taken master classes with Liebman and considers him a lifelong mentor. Over the past 45 or so years Meyerson has played or recorded with some of the best musicians in the world including: Pepper Adams, John Faddis, “Marky” Markowitz, Charles Fambrough, Jim Fielder, Marvin Stamm, Bobby Radcliff, Garry Rissmiller, Craig Kastelnick, Tony Marino, Doc Blue, “Chicago” Carl Snyder, Speedy West and has recently opened for Pat Martino. Allan now resides in The Lehigh Valley, Pennsylvania and is active with the local jazz and blues scene. He was nominated for “Best Wind Instrument” at The LHV Music Awards every year since relocating to Lehigh Valley, and the winner of the award in 2008. Allan’s goal is to pass on his knowledge of music to his students and guide them to be the best they can be. He believes everyone learns at their own pace and encourages his students without pressure. Allen has been teaching at Saucon Valley Music for 4 years and loves the family atmosphere and staff there.